A versatile family of condensed formal scripts. Richard Lipton continually transforms the elegance of pen-on-paper into beautiful, functional fonts. 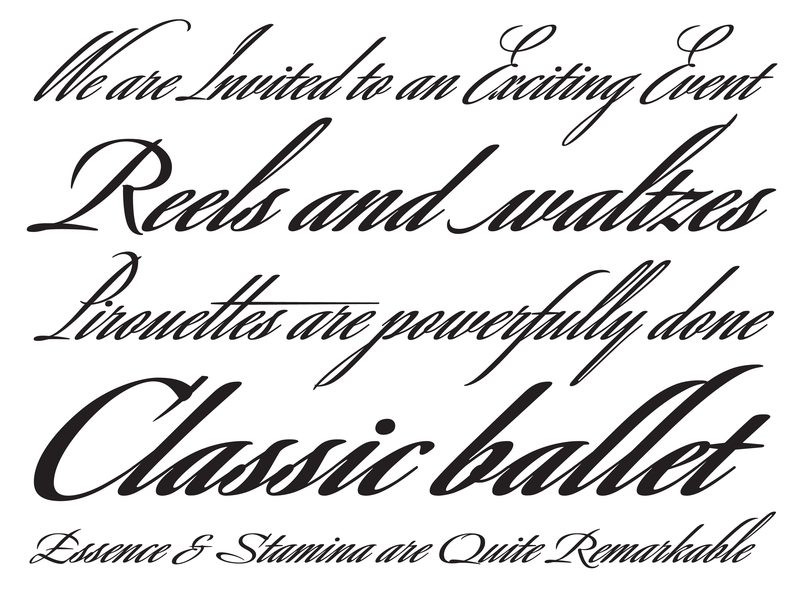 Bickham, Lipton continually transforms the elegance of pen-on-paper into beautiful, functional fonts. His latest is Savanna Script. A sample of the calligraphy of Martin Wilke, one of the inspirations for Savanna Script. Lipton has long admired the work of Friedrich Neugebauer and Martin Wilke, modern calligraphers whose square-edged pen updated 16th-century styles. The three-weight Savanna Script is an ode to these pioneers, a very condensed hand that dances with a rapid yet effortless energy. Savanna’s unique capitals are quite narrow and much taller than the lowercase, imparting words with a towering grace. But whenever there isn’t ample room for her to stretch out, Savanna offers two complete sets of caps at a middle and low height. These, along with the three weights, give the family a versatility that is uncommon in formal scripts. Also, in what has become a Lipton tradition, there is a variety of alternates available to fit the space and mood. These include multiple ascender and descender styles with single, double, or looping strokes; ‘t’ and ‘f’ crossbars at varying heights and lengths; and letters designed specifically to begin or end words.